"The doors are opened wide for Gina and the opportunities are endless. She intends to continue on to get her masters. I can't thank you enough for the help you provided in opening the doors for Gina. We are forever grateful." 91% of C.A.N.E. students stay enrolled at their chosen college for 4 years, compared to the national average student retention rate of 51%. A good fit: happy, successful experiences that families are financially prepared for. of all colleges and universities to which students applied. 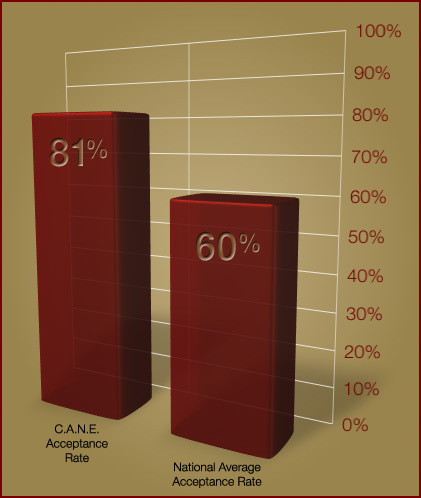 Our students are 21% more readily accepted than all students nationally, applying to the same schools. This supports the effectiveness of our selection & suitability process. for families receiving need-based financial aid. 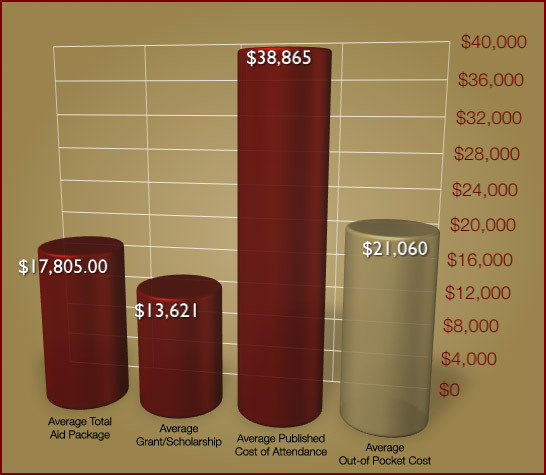 merit scholarships received up to $49,600 per year.